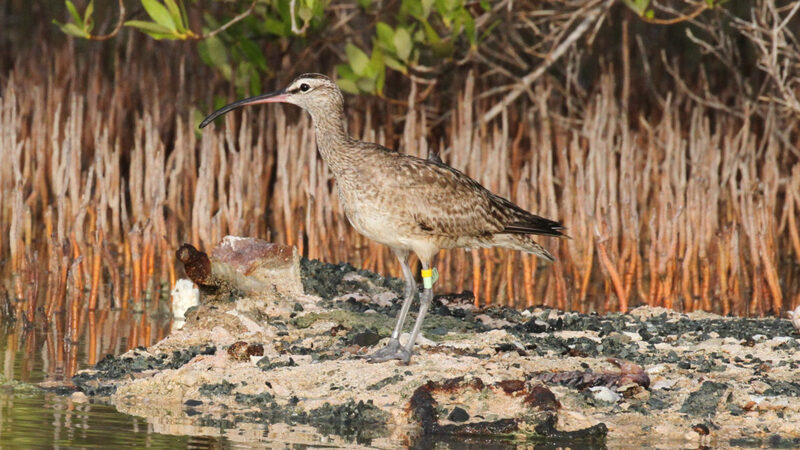 Hope, the whimbrel that was tracked with a satellite transmitter and became a living representation of the challenges faced by migratory shorebirds throughout the annual cycle, is believed to have been one of the many casualties of Hurricane Maria. 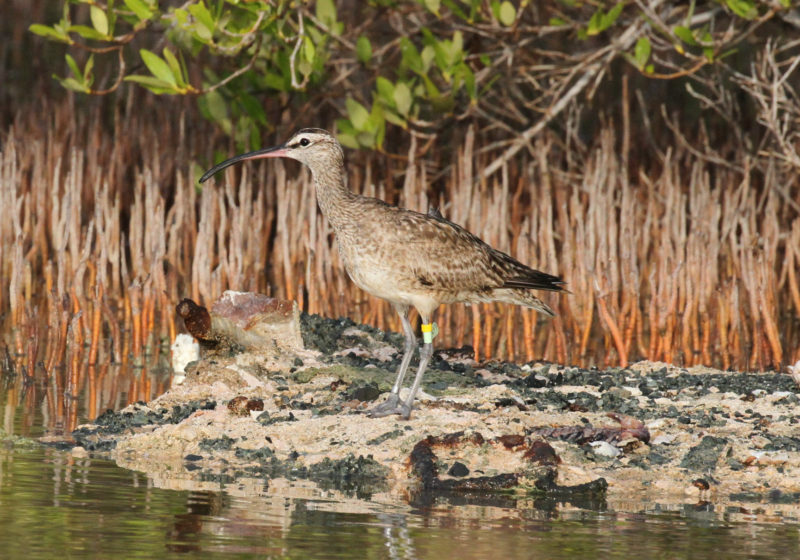 Local ecologist Lisa Yntema photographed Hope on 26 August 2017 shortly after arrival on her winter territory on Great Pond (St. Croix, U.S. Virgin Islands). 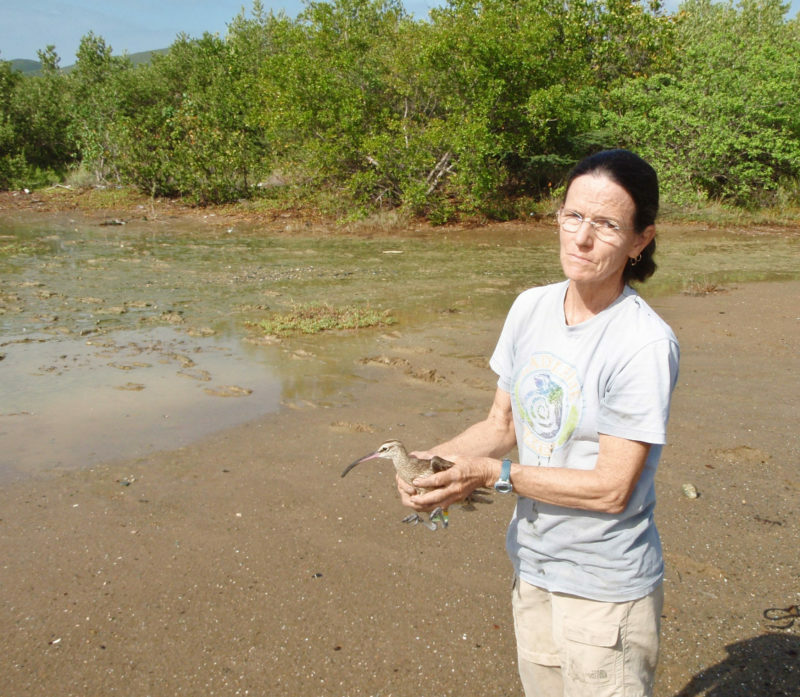 Hope called as usual and came out of the mangrove onto her flat as Lisa entered the site. Lisa had visited her territory on 15 August and Hope had yet to arrive. St. Croix was hit by Hurricane Irma on 6 September as a category five storm experiencing heavy rain and structural damage. Lisa was able to visit Great Pond and saw Hope following the storm on 11 September. However, less than two weeks later on 19 September, St. Croix would be hit by Hurricane Maria, causing extensive damage with the eye wall passing directly over Great Pond. 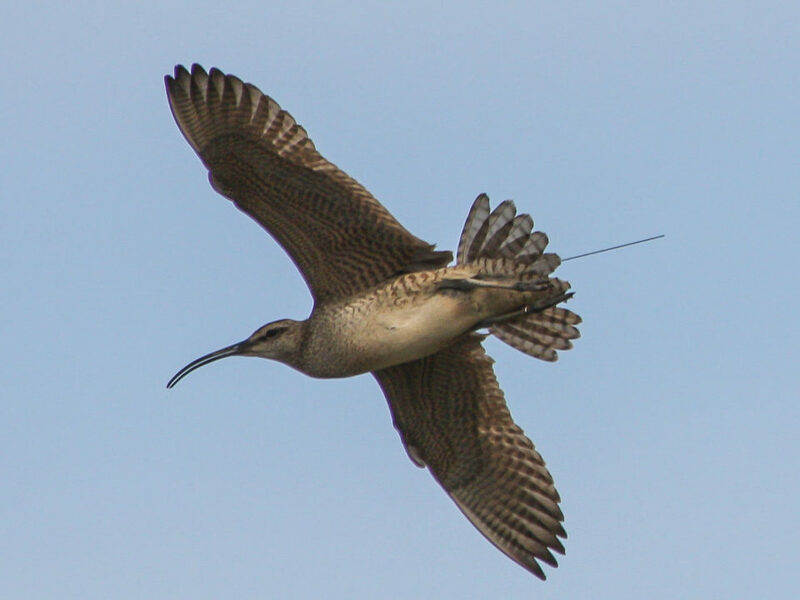 Lisa was able to visit Great Pond on 5 October, finding a single whimbrel on Hope’s territory but not Hope. 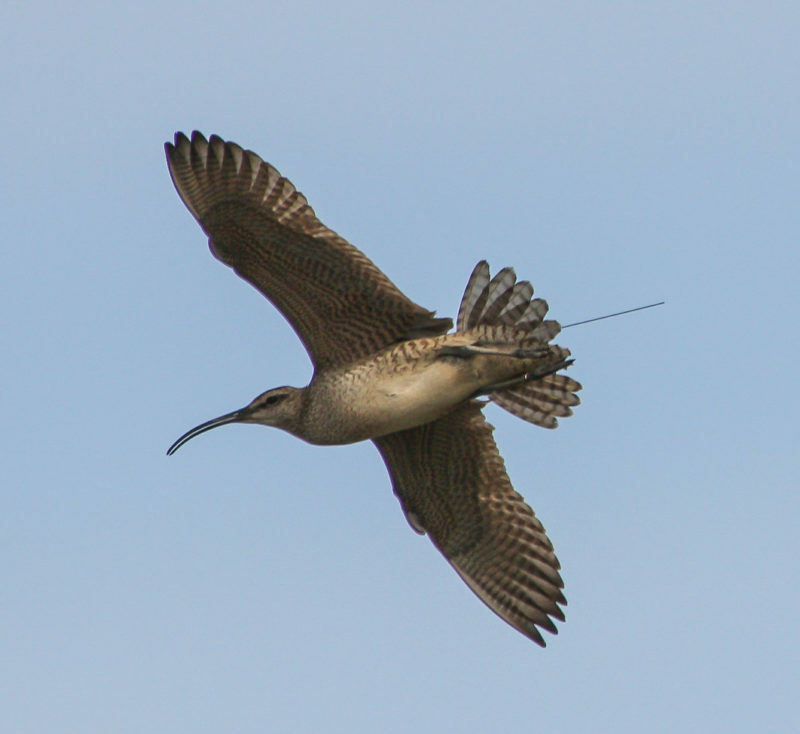 Lisa visited Great Pond again on 26 October, finding three whimbrels on Hope’s territory but again, no Hope. Lisa would visit Great Pond several times through the fall of 2017 but did not find Hope. Barry Truitt also spent time searching for Hope in April and May of 2018 within her spring staging area on Boxtree Creek in Virginia, but did not find her. Hope did not return to Great Pond during the fall of 2018. 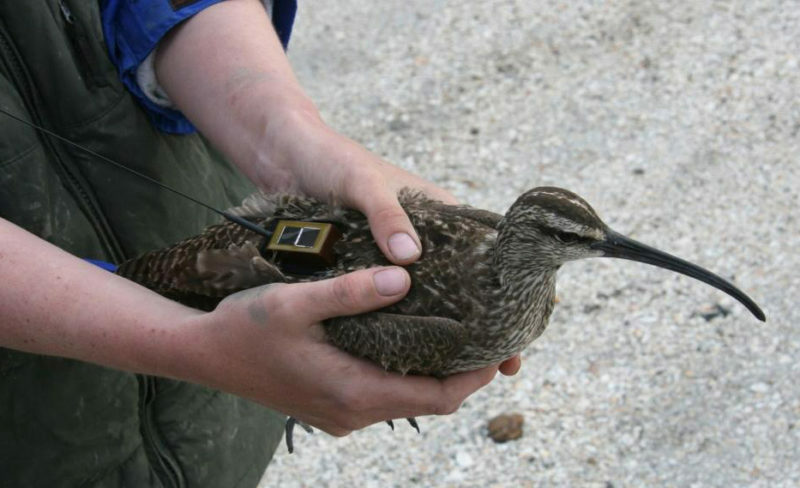 Hope was initially captured as an adult on 19 May 2009 while staging in Boxtree Creek and was banded and fitted with a satellite transmitter as part of a study focused on whimbrel migration. 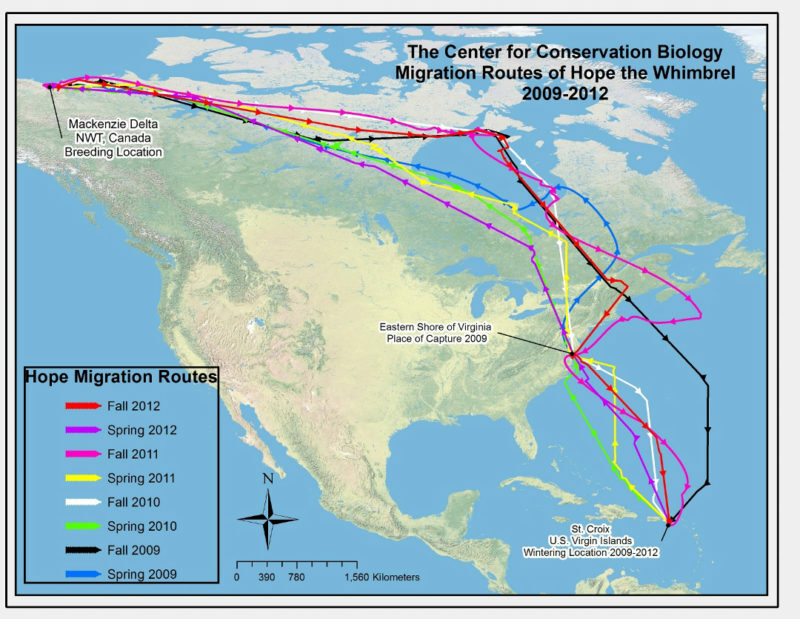 She was tracked for more than 50,000 miles (80,000 kilometers) back and forth four times between her breeding site on the Mackenzie River in far western Canada and her wintering site on Great Pond. Her transmitter antenna was lost in early September of 2012 shortly after she arrived on Great Pond. After some deliberation, CCB decided to remove the transmitter rather than to replace it. Fletcher Smith and Lisa Yntema captured Hope on 20 November 2012 and removed her transmitter. In subsequent years she would be identified by her coded leg flag (AYY). Hope with satellite transmitter after her initial capture on 19 May 2009 on Boxtree Creek in Virginia. Photo by Barry Truitt. Map of Hope’s movements from the spring of 2009 through the fall of 2012 when she lost her antenna. Data from CCB. Lisa Yntema with Hope after capture to remove transmitter in November of 2012. Photo by Fletcher Smith. Hope was featured on a website that allowed the public to track her movements. 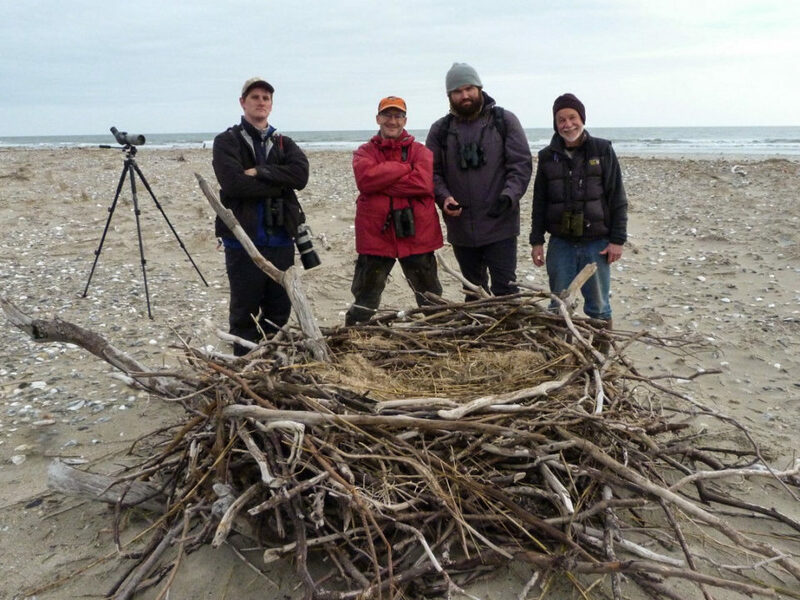 She quickly attracted a following of shorebird biologists, bird watchers, and school groups from around the world. 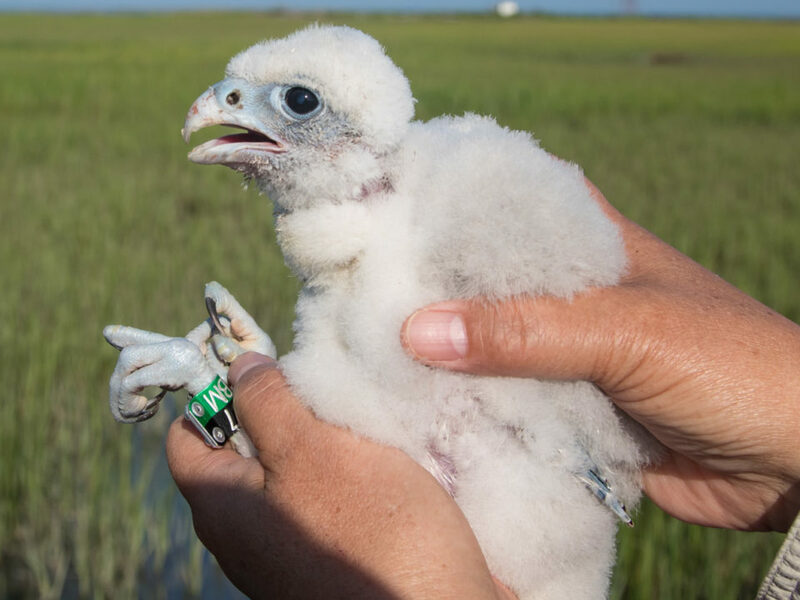 Over time, Hope became an ambassador for migrants making tremendous nonstop flights, moving great distances out over the open Atlantic, navigating with precision to stopover sites, and showing high fidelity to her breeding site, her wintering site, and several staging areas. One of the most dramatic events during her tracking career was in August of 2011, when after taking off from South Hampton Island in Hudson Bay to make a nonstop flight to St. Croix she encountered Tropical Storm Gert over the open ocean off the coast of Nova Scotia. Hope flew through the storm for 27 hours against tremendous headwinds. When she broke through the storm, she immediately made a right turn toward Cape Cod, demonstrating a high degree of situational awareness. After an unplanned period to refuel, she continued to her winter territory on Great Pond. 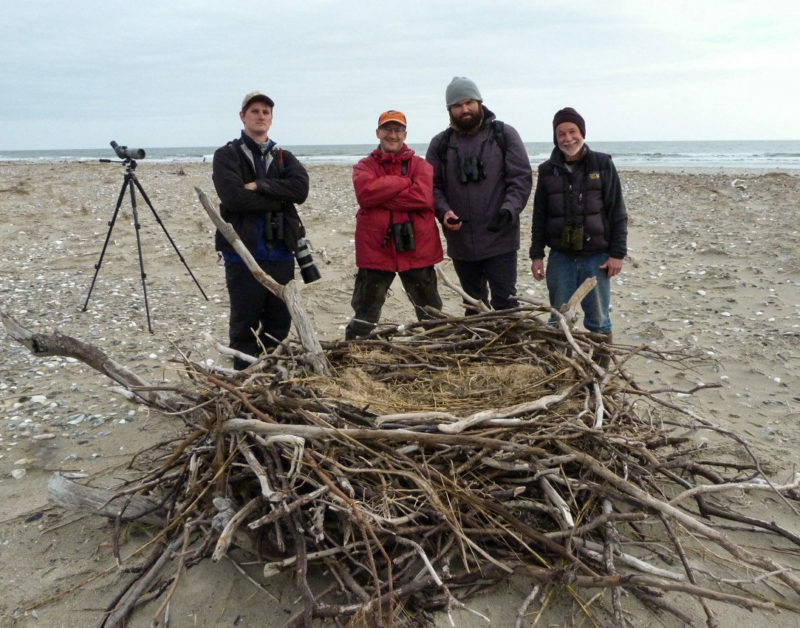 Her high fidelity to Great Pond was an important factor in preserving habitat around the site, demonstrating the value of a celebrity but also illustrating the great importance of local actions to larger conservation movements. 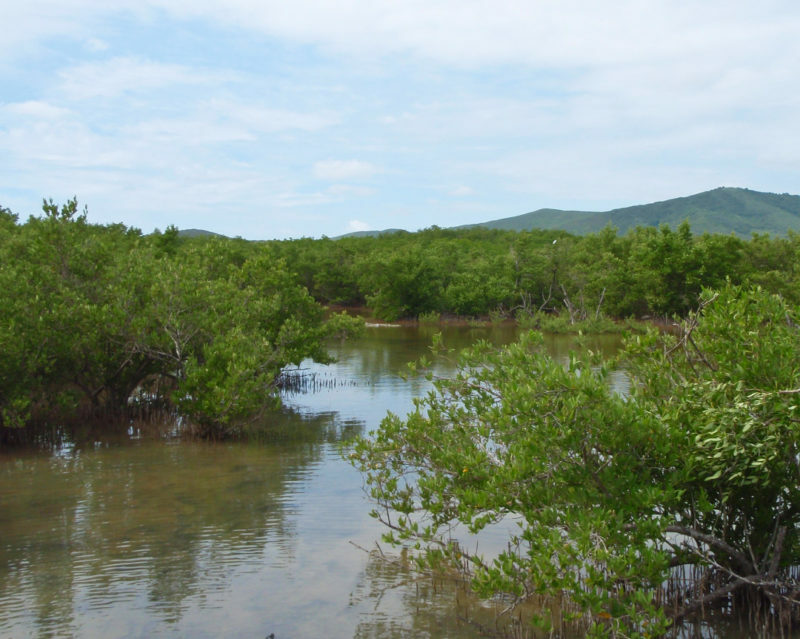 Photo of mangrove habitat within Hope’s winter territory on St. Croix. Photo by Fletcher Smith. Connecting children to nature is a vital element of the conservation mission. The story of Hope was immortalized in the book “Hope is Here” written by well-known children’s author Cristina Kessler of St. John. The book tells a conservation story to children and has been used as a teaching tool on the U.S. Virgin Islands where Hope spent the winter months and in schools on the Delmarva Peninsula where Hope stopped during spring migration. 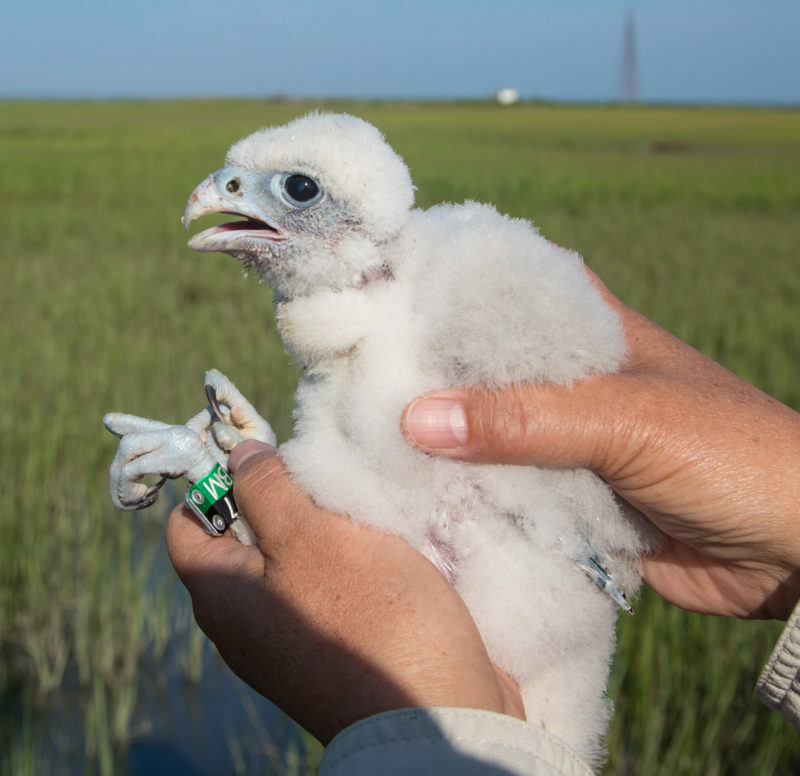 Through the book, Hope became a tangible symbol of conservation for the many species that migrate thousands of miles between breeding and winter grounds. 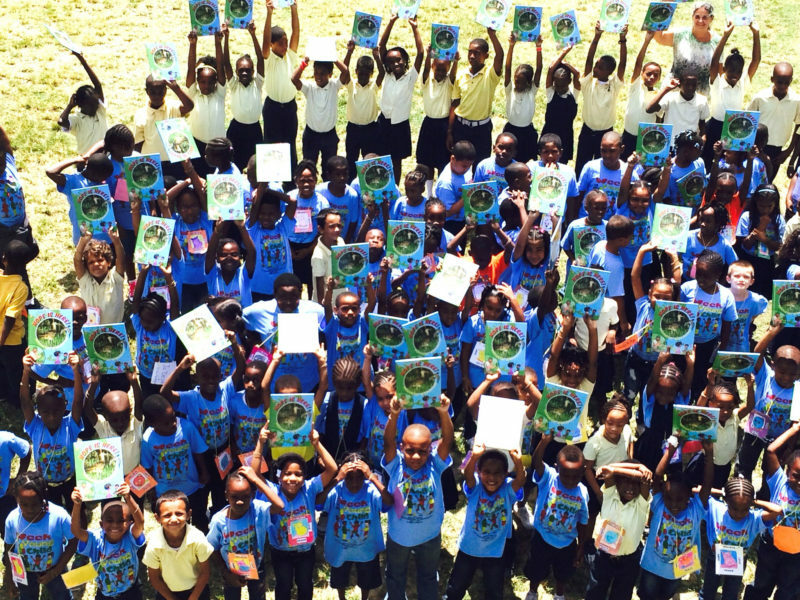 Children from Cruz Bay hold up their copy of “Hope is Here.” Photo courtesy of Cristina Kessler. 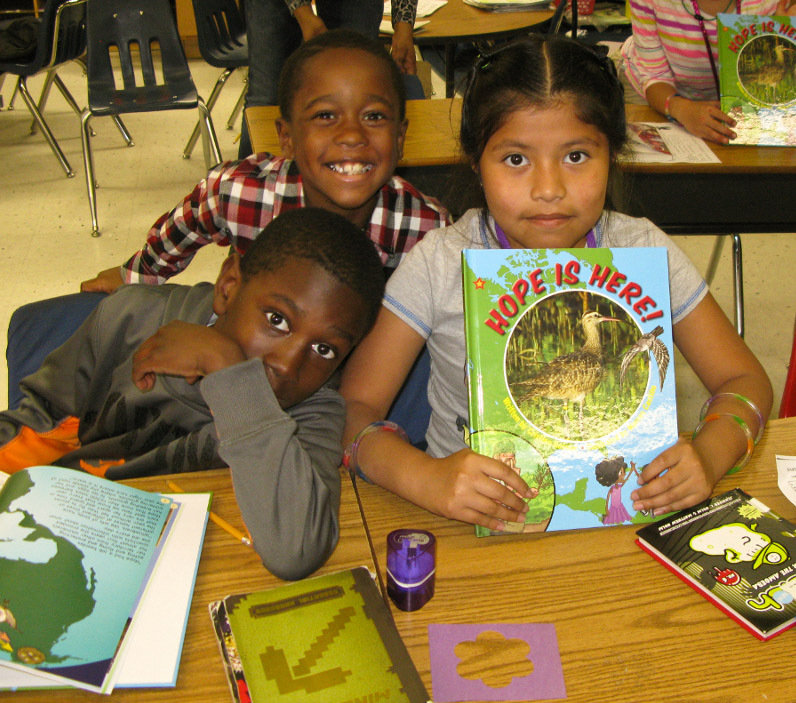 Children from Pungoteague Elementary School in Virginia with “Hope is Here” book. Photo by Bryan Watts. 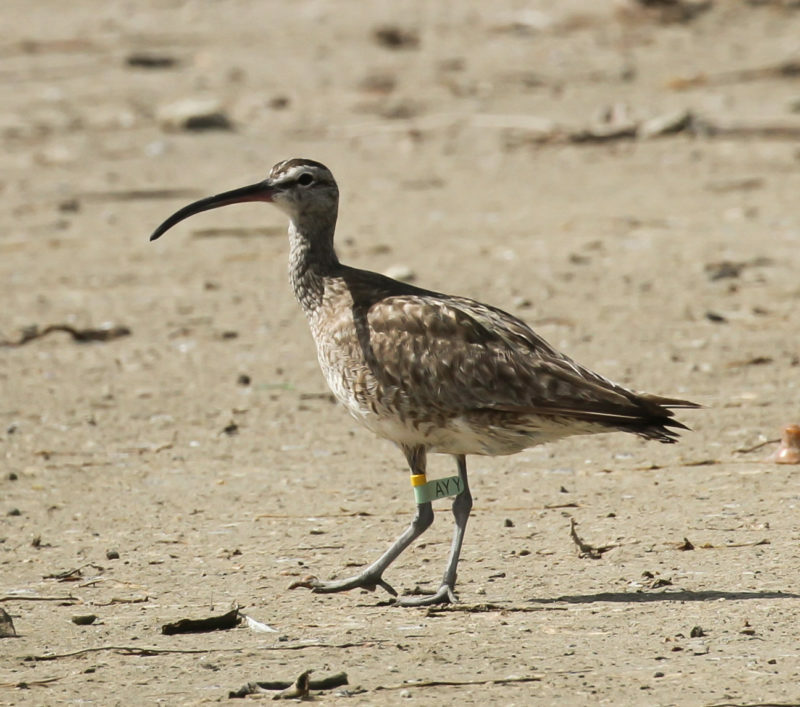 Over a short period of time, by just living out her fascinating life, Hope unknowingly taught scientists important lessons about the requirements of whimbrels through the annual cycle, educated the broader community about the challenges faced by migratory birds, demonstrated that local actions can contribute to international movements, and left a legacy that will educate children for generations. Fair winds and following seas, Hope. Hope on 26 August, 2017 after arriving at Great Pond. This photo was taken just two weeks before the arrival of Hurricane Irma. Photo by Lisa Yntema.